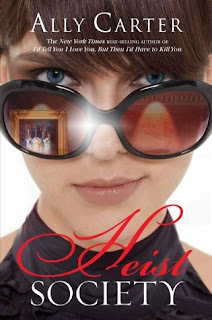 I adore HEIST SOCIETY because it is so fast paced and cleverly written. It had twist and turns, humor and I honestly love learning about con people. I get so curious on how they pull the con off. I really enjoyed how hard Kat (the main girl) tries so hard to stay out of the con business but everyone and their dog tries to get her back in. I love Kat's relationship with her cousin because she is like the sister Kat never had, whether she likes it or not, and I love her relationship with Hale. It is a very clean book and it is the first of a series. Just added this to my to-read shelf. Anything not SF/F is a hard sell for me, but this looks like a lot of fun. Thanks for recommending it!